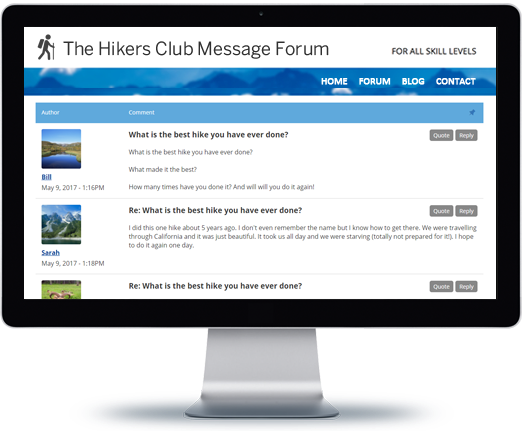 Build an online community with message boards or forums. 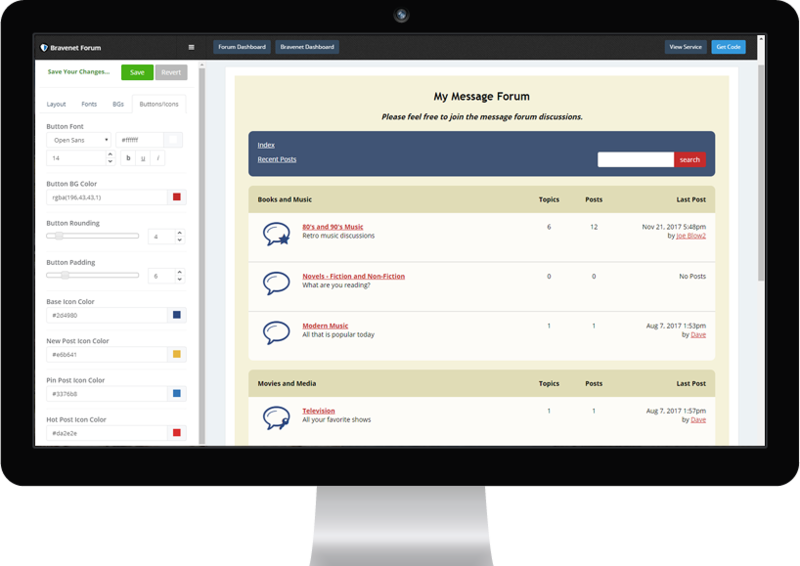 Post messages, hold discussions and interact with your visitors. Get a Message Forum for FREE! Bravenet Forums can be embedded right into your website. Simply copy and paste our code onto your web page where you want your Message Forum to appear. Then style it to match your site perfectly. 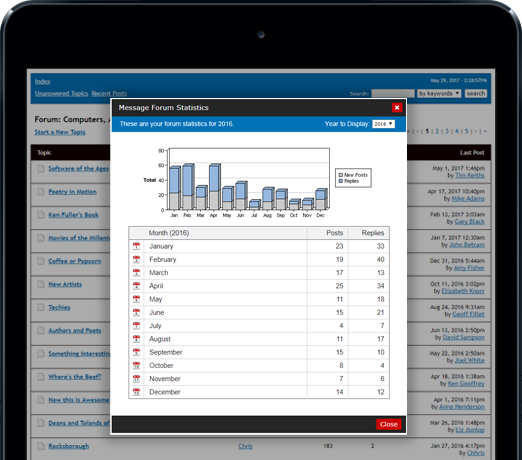 You can create many separate, individual forums and organize them all into specific categories. This is perfect if you want to separate discussions for certain topics of your choosing. 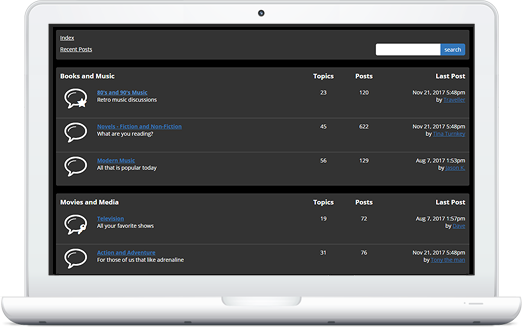 Access your Forum usage statistics to analyze number of posts and replies broken down by month. We store statistics for you going years back, so you can monitor the growth of your forums and how active they are. Both popular forum styles are available. Classic threaded views showing threads of discussions, or board-view if you prefer. If you want to restrict access so only special users can access your forum, turn on the Password Protection feature. 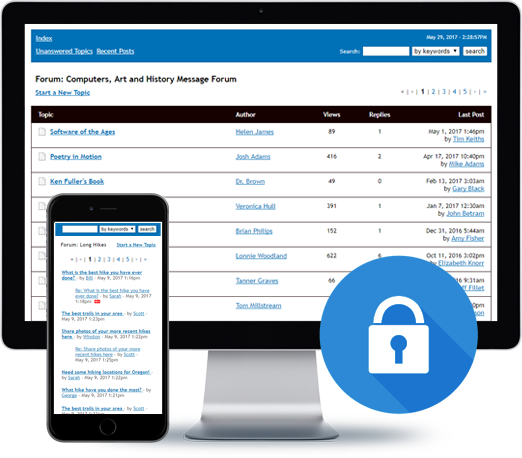 Forums can be open to the public or limited access to only key individuals. 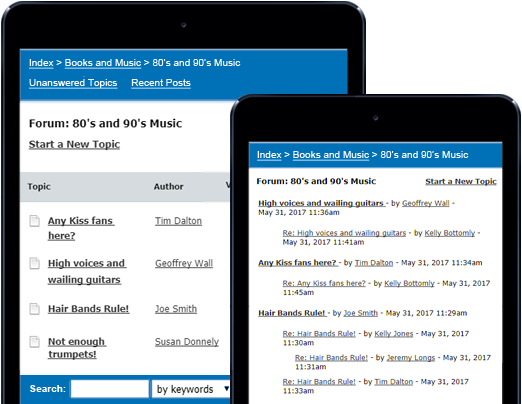 You'll love how fun it is to customize the look and feel of your forum. Go with a square look, or add some curves. Make it match your website perfectly. 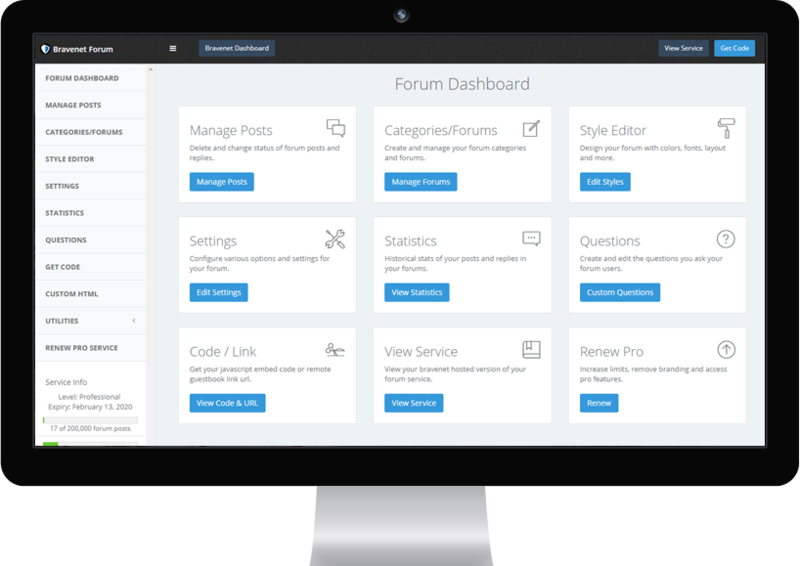 The Forum Dashboard gives you quick access to all your forum maintenance tasks. Access the Style Editor, Post Management, Forum Settings, Copy/Paste Code, Statistics and more. of user info with images. edit or delete their text. Visitors can interact and have live discussions on your website. Register for a Forum. It's FREE!